CBOCES is an educational partner with (IBMC) Institute of Business and Medical Careers. 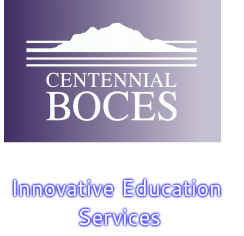 Centennial BOCES High School was established by Centennial BOCES with the sole purpose of providing an alternative educational opportunity for students who for varying reasons are not successful in a traditional high school setting. This alternative school is a partnership between the Centennial BOCES and our participating member districts. Each participating school district pays a per pupil amount to CBOCES for each student to attend this alternative school. Centennial BOCES awards the Diploma when the graduates are certified and have met all of the graduation requirements specified by the Centennial BOCES member districts. CBOCES H.S. has two sites: Greeley, and Longmont. ﻿For further details contact Mark Rangel at mrangel@cboces.org or (970) 352-7404 x1122.